Members of the Mothers Club of Putnam Hospital Center recently celebrated their third anniversary of service to the Carmel hospital. They were presented with a certificate of appreciation by PHC Senior Vice President Jeffrey D. Kellogg for completi… Please login below or purchase a subscription to the Putnam County Courier to access this content. 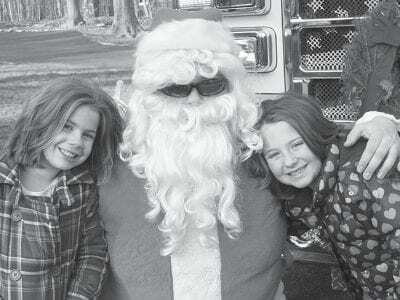 Santa Claus made his rounds last weekend courtesy of the Carmel Fire Department. The annual candy cane run resulted in the distribution of more than 2,000 candy canes to boys and girls throughout the Putnam County seat. Caroline Johnson and her littl… Please login below or purchase a subscription to the Putnam County Courier to access this content. 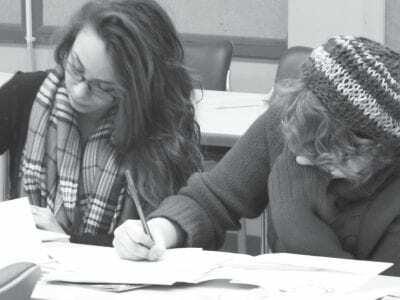 Mahopac High School’s Ali Kane (left) and Anne Menashche writing at the Young Authors’ Editing Day at Putnam Northern Westchester Board of Cooperative Educational Services. “Why do I stay atop my mountain And rule an empty kingdom?… Please login below or purchase a subscription to the Putnam County Courier to access this content. A college student from Putnam Valley takes his turn at getting vaccinated at last week’s Putnam County Health Department flu clinic. 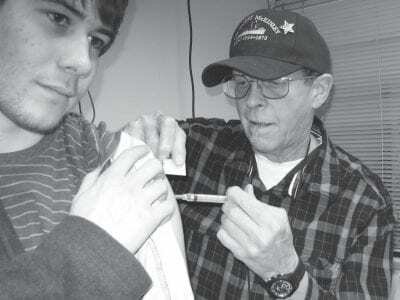 On Thursday, December 9, from 3:30 to 6:30pm, the Putnam County Department of Health held a free vaccination c… Please login below or purchase a subscription to the Putnam County Courier to access this content. 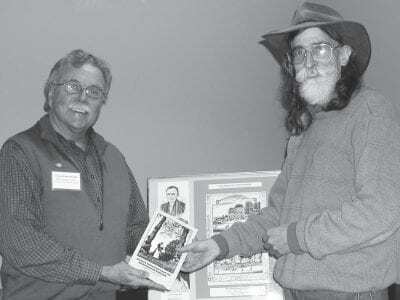 David Jon Greenwood (left) presents a copy of the Mid-Hudson Antislavery History Project’s publication to Ron Taylor. Did the Underground Railroad run through Patterson? Historians like David Jon Greenwood confirmed the probability at last w… Please login below or purchase a subscription to the Putnam County Courier to access this content. 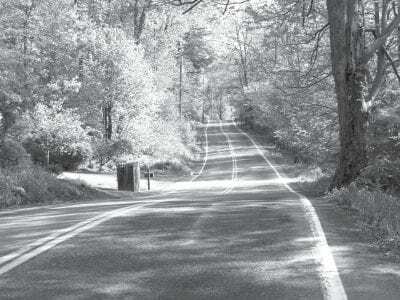 Peekskill Hollow Road runs from Putnam Valley to Kent. 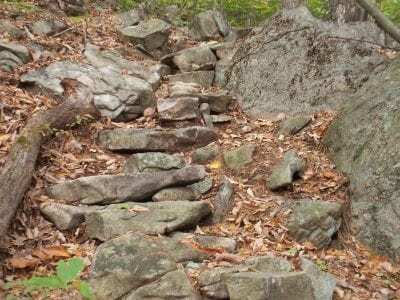 Residents of Peekskill Hollow Road are victorious: After more than a decade of discussion and debate, the Putnam Legislature has declared Peekskill Hollow Road as a historic district, preventing… Please login below or purchase a subscription to the Putnam County Courier to access this content. It all started very small and with kindness of Heart…Staff at Putnam Family & Community Services decided to help families undergoing financial difficulties by asking for a wish list. 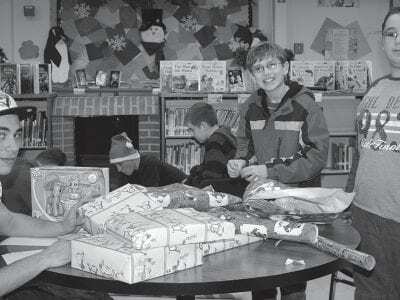 They decided to purchase a few gifts so that these families, … Please login below or purchase a subscription to the Putnam County Courier to access this content. CHRISTMAS NUMBER On Friday, December 11th, the Christmas Number of the Putnam County Courier will be issued and we trust the special features it will contain will prove most interesting to our readers. The size of the edition cannot be st… Please login below or purchase a subscription to the Putnam County Courier to access this content.